Preview: Bullet @ O2 Academy Islington, London - art noise. Swedish metal lords BULLET have been confirmed to play 02 Academy Islington on May 16th.Promising sweeping solos, driving bass lines and vocals usually reserved for the halls of Valhalla, this isn’t you’re usual Wednesday night. Supported by Swedish death ‘n’ roll trio Jesus Chrüsler Supercar, this is a gig that’s guaranteed to shake up your week and provide an epic metal show fuelled by classic heavy vibes with new twists. 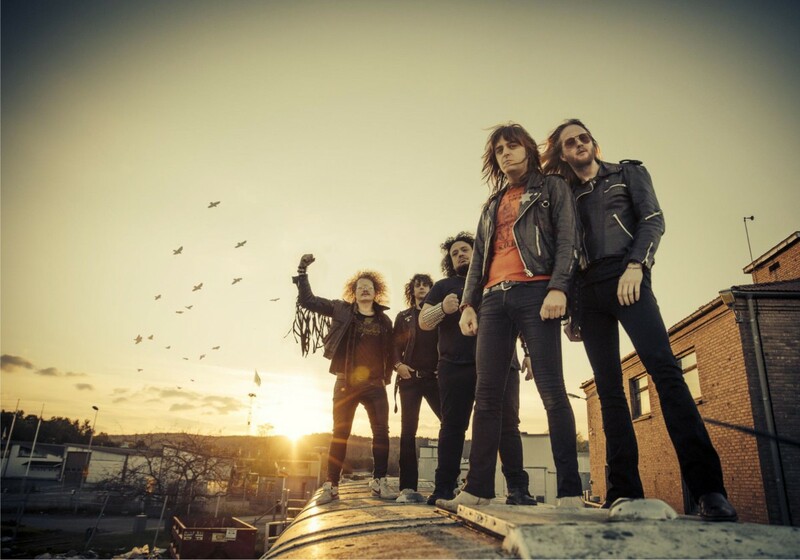 Supporting the recent release of BULLET‘s sixth studio album Dust to Gold, this is a show that promises to unite core metal elements harking back to AC/DC, Dio and Maiden with a party atmosphere. Dust to Gold has already been praised for it’s commitment to the church of metal and is an album that is strong from the first opening falsetto to the final mini-epic that is the title track. This is going to be a gig dedicated to the glory of rock and roll with one of metal’s most exciting bands. Get your horns ready to rock.